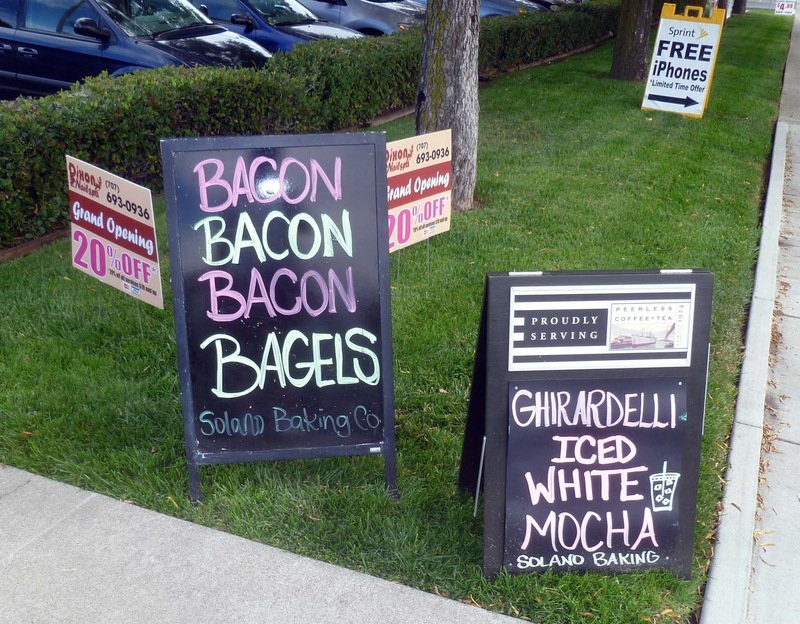 Sometimes I am easily swayed by the promise of bacon. Ms. Goofy saw this signboard as we sped by the Solano Bakery in Dixon. I said we should go back. Ms. Goofy pulled the emergency brake which put the Racing Honda into a 180 degree spin that pointed us towards our new destination. 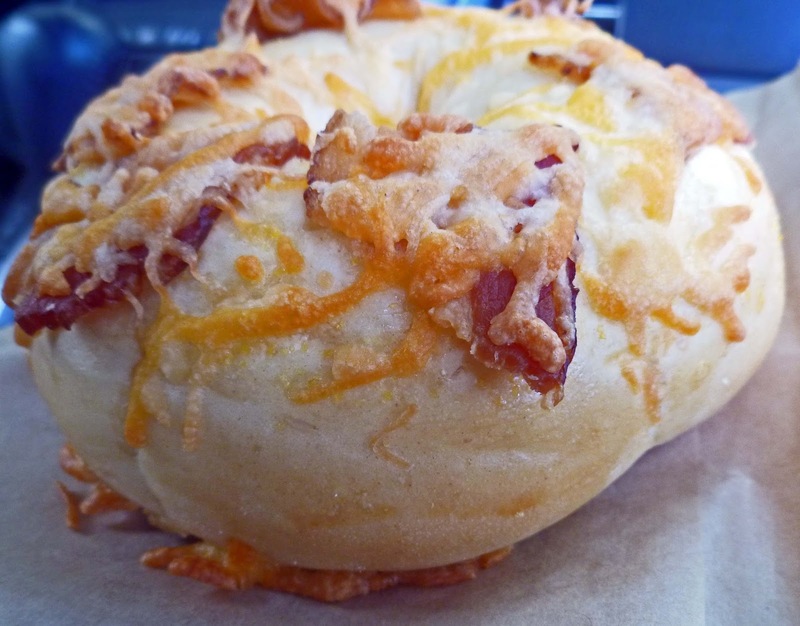 Once the dust and smell of burning rubber had settled, I purchased a cheese and bacon covered bagel. It made the perfect tr-tip sandwich. Sometimes Ms. Goofy's driving skills are a welcome necessity. Perfect for you. And she has a career in NASCAR if she wants it. Zoomie, Nascar does not allow potty breaks. Three Dogs BBQ, The contest this weekend is a beer festival too. We will be spending the night.The three B's; Bagels, Beer and BBQ. Whoops! and Bacon.